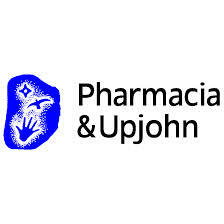 Pharmacia and Upjohn filed IL 136294, titled “Use of tolterodine, its 5-hydroxymethyl metabolite or racemate thereof in the preparation of medicaments for treating unstable or overactive urinary bladder”. On 6 May 2004, Teva filed an opposition. The Application was a national phase entry of PCT/SE99/01463 which claimed priority from SE 9802864-0 and SE 9802871-4 filed on 27 August and 11 November 1998 respectively. On 11 June 2003, a Divisional Application (IL 156414) was filed. Following the publication of patent office circular M.N. 23, the Opposition was frozen pending Examination of the Divisional Application. On 20 March 2006 the Divisional Application was abandoned and the file closed, and the Opposition procedure in the parent application was restarted. On 19 June 2006, Teva submitted a detailed Opposition and Upjohn filed a counterclaim on 13 November 2006. Following submission of evidence, counter-evidence and responses, a hearing was held on 1 and 2 April 2009 before then Commissioner, Dr Meir Noam. After the hearing, the parties submitted their concluding remarks between 21 April 2010 and 26 January 2012, after Dr Noam’s term of office finished. The Present Commissioner, Asa Kling, ruled on the case under regulation 202a, on the basis of the material in the file. According to the Commissioner, the Opposition is two-fold. The Opposers argue that there is no inventive step in contravention to Section 5 of the Patent Law, and that the claimed invention is a method of treatment of Man and thus contrary to Section 7. The Opposer, Teva, submitted their evidence via an opinion of Professor Danon. The applicant, Upjohn, submitted their evidence via an Opinion from Professor Abrams and a statement of Dr Wood. Teva submitted counter-claims via a second affidavit of Prof. Danon and an opinion by Professor Mor. The patent relates to a treatment for sufferers of unstable or overactive urinary bladder. The problem is caused by a lack of control of smooth muscles around the bladder that receive electronic stimulation. The standard treatment at the time of filing involved desensitizing the nerves with tolterodine or oxybotynin. Both desensitizers had various adverse side effects including dryness of mouth. In minimizing this side effect, tolterodine was preferable to oxybotynin. Tolterodine is (R)-N, N-diisopropyl-3-(2-hydroxy-5-methylphenyl)-3-phenylpropanamine, where R indicates the Right handed enantiomer, and S, the sinister, or left handed enantiomer which does not work. The two desensitizers and the enantiomers are discussed in the specification. The Application as allowed had 17 claims, of which claims 1, 8, 16 and 17 are independent. Use of tolterodine, its 5-hydroxymethyl metabolite or the recemate corresponding to tolterodine, or a pharmaceutically acceptable salt thereof, in a pharmaceutically effective amount thereof through a controlled release formulation capable of maintaining a substantially constant serum level of the active moiety or moieties for at least 24 hours, wherein the 24-hour serum profile, expressed as the AUC of unbound tolterodine and 5-hydroxymethyl metabolite, is form 5 to about 150 nM*h, for the manufacture of a therapeutical formulation for treating unstable or overactive urinary bladder, substantially as described in the specification. A pharmaceutical formulation containing tolterodine, its 5-hydroxymethyl metabolite or the recemate corresponding to tolterodine, or a pharmaceutically acceptable salt thereof, which formulation when administered to patient provides controlled release of said tolterodine its 5-hydroxymethyl metabolite or the recemate corresponding to tolterodine, or a pharmaceutically acceptable salt thereof, such that a substantially constant serum level of the active moiety or moieties is maintained foe at least 24 hours, wherein the 24-hour serum profile, expressed as the AUC of unbound tolterodine and 5-hydroxymethyl metabolite, is form 5 to about 150 nM*h.
In order to ascertain inventive step or non-obviousness, the standard is that of a person of the art. Professor Danon and Dr Wood are pharmacologists. Professor Mor and Professor Abrams are urologists. Both sides argued whether in this case the person of the art to determine non-obviousness would need to be would need to be a pharmacologist, a urologist or a team including both skills. Accroding tot he Commissioner, this question may be answered by reference to Former Supreme Court President Shamgar in 345/87 Hughes Aircraft vs. State of Israel P.D. 44(4) 45 (1990) as including a person or team with knowledge of relevant subject matter but no creative ability. The Opposer (Teva) considers the person of the art to be a pharmacologist specializing in the relationship between active ingredients and the human body. The Applicant considers that persons of the art may be a team including pharmacologists and doctors of the relevant speciality, which in this case includes urologists. The Applicants distinguish between the pharmacological and the pharmo-kinetical aspects of the invention, which in their words, are directed to a pharmacologist or formulator, and the medicinal aspects of the drug which are directed to a urologist. Professor Abram’s opinion follows this distinction. According to the Applicant, the motivation to develop a drug is based on medical needs and so the application is primarily directed to the urologist, and other professionals, such as pharmacologists are consulted only once the drug is being developed to answer a specific medical need. Furthermore, the Expert for the Applicant Professor Abrams himself stated that the urologist might identify the clinical condition and would describe it to the pharmacologist, which strengthens the position that the person of the art is, in fact, the pharmacologist. The Commissioner ruled that the person of the art is indeed the pharmacologist, although the urologist might well initiate the process of developing a drug. Consequently, the Commissioner ruled that whilst a urologist could be included in the team, the persons of the art defining obvious would include a pharmacologist. As far as inventive step is concerned, the issue in question boils down to whether something would have been considered obvious by a pharmacologist, or by a team consisting of a pharmacologist and a urologist. As of the priority date both tolterodine or oxybotynin in instant release form were being used to treat unsteady or over-active bladders. Furthermore, oxybotynin was also being used in a controlled release form. It was understood that oxybotynin caused more serious side effects of dry-mouth and thus tolterodine was the preferred treatment. Dry mouth symptoms of tolterodine were most prevalent when tolterodine was at its highest concentration in the blood. It was already established that tolterodine had a positive effect on unsteady or over-active bladders after its effect on saliva forming and the symptoms of dry-mouth had disappeared. Moving from instant release to slow release formulations may not be successful for treatment of unsteady or over-active bladders and the efficacy required clinical trials. The Applicants considered that the minimal problems of dry mouth associated with tolterodine in quick release form were such that there was no motivation to develop a slow release version of the drug. Furthermore, slow release Oxybotynin did not have less slide effects than the quick release version so the urologist would be likely to conclude that slow release tolterodine would behave in a similar fashion. Finally, according to the Applicants, it transpires that the slow release tolderine is actually more effective. This is not supported by the specification and is first raised as a consideration in the Applicant’s statement of claims. There is no evidence that Applicant was previously aware of this point. The Applicant does not claim that this fact is relevant to the issue of inventiveness, but the commissioner nevertheless emphasizes that such post filing revelations are irrelevant to the issue of inventive step (non-obviousness) and the Applicant can’t turn the clock back. There has to be an inventive step at the time of the priority filing (albeit, possibly one discovered by accident). The parties now debated a very interesting point. Regardless of the surprising improvement of the not particularly serious dry mouth side effect, according to Teva there was a drive towards creating a slow release version of the treatment since this would enable taking a pill once a day instead of twice a day. They consider this fact self-evident and not requiring scientific proof. The Opposer considered that despite possible problems in achieving, it is obvious to try to reduce the dosage frequency, and thus a mere change in dosage frequency achieved by a coating is not inventive. The Applicant countered that the development of a slow-release version warranted a patent since there were many cases where controlled release was less than successful, and they brought three examples of this. The Opposer showed why the three examples were all exceptions to the rule and the commissioner felt that the onus was on the Applicant to show why this instance should be considered inventive. Both parties accepted that tolterodine was preferable because of its lesser severe side effect of dry mouth. The Applicant considered that this being reduced further by controlled release dosages was patentable. The commissioner noted that Upjohn had stated that this was a surprising discovery, but that they had not actually explained why this was the case. He noted that the Opposers reasoned that if regular tolterodine has lower dry mouth side effects than oxybutynin, this would remain the case with quick release versions. The commissioner felt that the Applicants had not explained why, despite the fact that occasionally slow-release preparations might have unwarranted side effects or efficacy issues, it would not have been obvious to try to reduce the frequency of the dosage to once a day only. Furthermore, earlier patent WO098/03067 notes that the S-enantiomer is preferable to the R-enantiomer and suggests a more frequent dosage or a controlled release. On this point, the Applicant tried to argue that since the current application relates to the S-enantiomer only, the earlier patent was irrelevant. Furthermore, the earlier patent suggests multiple frequent dosages which teaches away from the present invention. The commissioner did not find these arguments persuasive and still considered it would be have been obvious to try. The Opposer considered the experimental evidence as totally anticipated by persons of the art and that there was nothing surprising in it. The cut and thrust of the parties is reported in depth, but the general tendency of the Commissioner is to uphold the ruling in IL109059 F. Hoffmann-La Roche AG vs. AGIS Industries (1983) LTD from 17.10.2004 that it would have been obvious -to-try. Consequently, the claimed invention was found to be obvious and the Opposition was accepted. Opposition by Teva to IL 136294 Pharmacia and Upjohn, Assa Kling, 30 September 2014. I am neither a pharmacologist nor an urologist, (although I do enjoy taking the $%*& against poor decisions occasionally). It is established that the standard of inventiveness of obvious to try. Both sides accept (at least tacitly) that when taking tolterodine, once the problem of dry mouth is addressed, it would be obvious to try a slow release formulation, so the solution is fairly obvious. The question remains whether identification of the problem as a problem is worthy of a patent. Here the pro-pharma lobby will stand on their chairs and wave banners that of course this is patentable, whereas the generic side of the industry will have serious reservations. This may not just be a question of who pays one’s bills. It is at least possible that attorneys and scientists with different philosophies get drawn to the different market sectors that reflect their look on life. Having a general background in chemistry but no background in pharmacology I tend to side with the generic industry. I suspect that most impartial patent attorneys with backgrounds in computing or engineering would find the Applicant’s arguments tortuous and unconvincing. One question not addressed is why they chose to try to develop a controlled release version if there was no a priori assumption of it being preferable? (If the answer is ever-greening, is this acceptable, or is it obvious to try to keep a drug patent protected indefinitely? Arguably the standard of obvious to try is to high, but it is the standard that Dr Meir Noam, the previous commissioner set. He was a chemist. The present commissioner, Asa Kling is an aeronautical engineer. He is no more a person of the art than I am. Nevertheless, his position as commissioner requires him to decide who the person of the art is, what is the standard for inventiveness and particularly whether identifying the issue of this side effect is in and of itself an inventive step. Really the issue is one of policy. The drug development industry will no doubt cry out that the Israeli standard is too high, whilst the generic industry will be more supportive of this ruling. If this ruling is appealed to the courts, the Commissioner’s determination will be scrutinized.